Lady Reading Hospital was established in 1927 and it is just 200 meters away in the south of the Grand Trunk Road, behind the famous historical Qila Balahisar. Famous MasjidMuhabat Khan, Ander Shehr bazaar, Qissa Khawani bazaar and Khyber bazaar is across the road of LRH. LRH is just outside historical wall in the jurisdiction of the cantonment board. The anecdote of the hospital of its coming into being is that His Excellency Lord Reading, Viceroy of India from 1921 to 1926, happened to visit Peshawar. Peshawar’s most famous Lady Reading Hospital comes in a general hospital category. 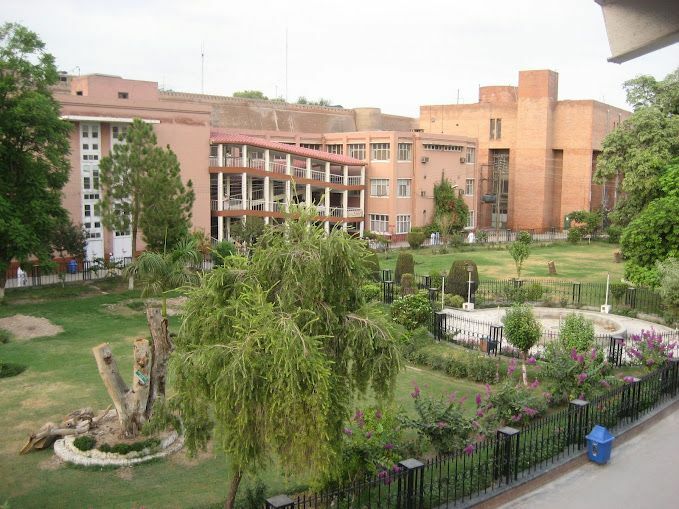 Classified as one of the significant postgraduate institutes of Pakistan, Lady Reading Hospital was previously known as ‘Loye Hospital’ and ‘Gernali Hospital.’ Named after the wife of Viceroy of India, Lady Reading Hospital is undoubtedly the biggest hospital of KPK. It offers great standards of medicine and surgery. It is equipped with extensive medical technology and provides all types of medical health and care services to their patients. The hospital runs on 70% funding from government and 30% from self-funding. Find the best doctors of Lady Reading Hospital listed on HamariWeb are Dr M Iqbal Mahsood Azeemi and others. This page is based on the basic information about the renowned Lady Reading Hospital. You can access the contact details and consultation timings of the doctors operate in Lady Reading Hospital. You can even find doctors by speciality in Lady Reading Hospital. You are welcome to give your feedback and opinions about Lady Reading Hospital by reviewing on HamariWeb.com. I wanted to know the details about the lady reading hospital. someone asked me about it thanks to this website that I found the information on this website. This is the best attempt by this website. On this website we can check about any hospital and doctors who are working in different hospitals. This website provides detailed information. Well, today was our 1st visit to the radiology department and found it such good service and care provider hospital they have given us so much respect, time and dignity. Thanks to the director Masood Khan. lady reading hospital will always be remembered by the name of APS children. The hospital has increased all its facilities and they are now treating patients with the latest technologies. In Lady Reading Hospital, Dr. Naheed Akbar is the Gynecologist which concern my wife since beginning of this case, I am all satisfying with all the facilities which is available on this hospital especially for the newly born baby.